A warm, inviting table lamp that is proven to perform, the Vigor Table Lamp from Zuo Modern remains a consistent favorite in any modern setting. 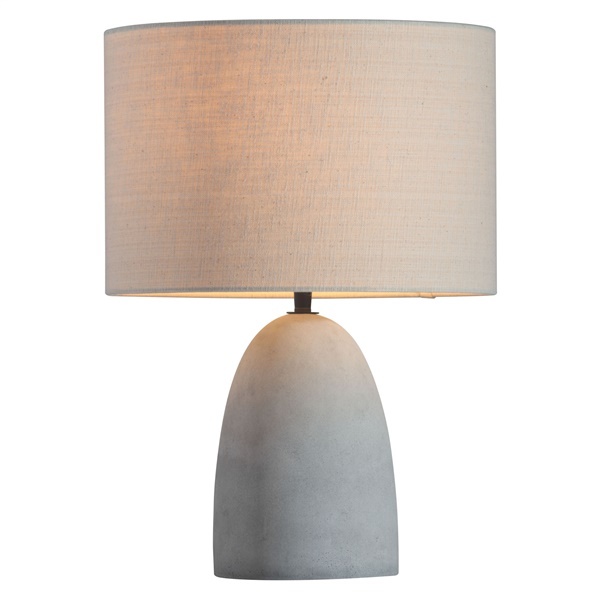 And perhaps it's easy to understand why, as this lamp includes a soft grey faux concrete base that offers exceptional support. Plus, the lamp features a beige shade that brings a touch of luxury and elegance to any contemporary setting's d�cor. Choose a stunning lamp that is built to last and will shine bright day after day with the Vigor Table Lamp. Boasts a contemporary style all its own. Includes a soft grey faux concrete base that offers exceptional support. Features a beige shade that brings a touch of luxury and elegance to any modern or retro setting's d�cor. Superb lamp offers a great choice to help brighten up any bedroom, living room or office. Is the height of this lamp 16.7" with the shade included? Or does the height increase with the shade on? Thank you. The total height of 16.7" includes the shade.